Every Veterans Day, thousands of restaurants around the country, from big chains to one-location diners, honor veterans and thank them for their service with a free meal. You can find a list of the Veterans Day free meals to see which restaurants are participating in the Veterans Day free meals, freebies, and discounts this year. Below, you'll find the answers to commonly-asked questions about free Veterans Day meals, so you can enjoy being honored and have a fantastic meal! Definitely, call the exact location you plan on visiting before you head out for your free meal. With a simple phone call, you can make sure they're participating, what date and time they're giving out free meals, whether a purchase is required, and if you need to bring proof of service along with you. Eligibility for the free meals on Veterans Day is up to the restaurant. Veterans are always eligible, and most of the time active duty military members are eligible as well, and sometimes even direct family members. Be sure to check with the restaurant you'll be visiting for specific details on who's eligible for the free meal. Most of the free meals will be served on Veterans Day. However, some of the meals are available all weekend long, or on another date entirely. For example, when Veterans Day falls on a Sunday, it's observed on the following Monday. Some restaurants decide to offer those free meals on not only the day of and on the recognition day but also a day before, too, like on Saturday. It really varies from restaurant to restaurant what time of day you can get your free meal. Some meals are only valid during lunch, during dinner, or for breakfast. Some of the offers last all day long. If you aren't sure, call where you're planning on going to see when the best time to come by is. "Do I need to bring proof of service to get my Veterans Day free meal?" Again, check with the restaurant to see what you need to bring with you before you head out. "Can my family get a free meal too?" No, families are welcome to enjoy a meal with you, but they'll be charged for their meal. There are, on rare occasions, exceptions to this rule, but only if the restaurant has explicitly said that their free Veterans Day meal is valid for family members, too. Family members might get a small discount, but it's usually the case that only the veteran can take part in the free meal. "Is there a purchase required for the Veterans Day free meals?" 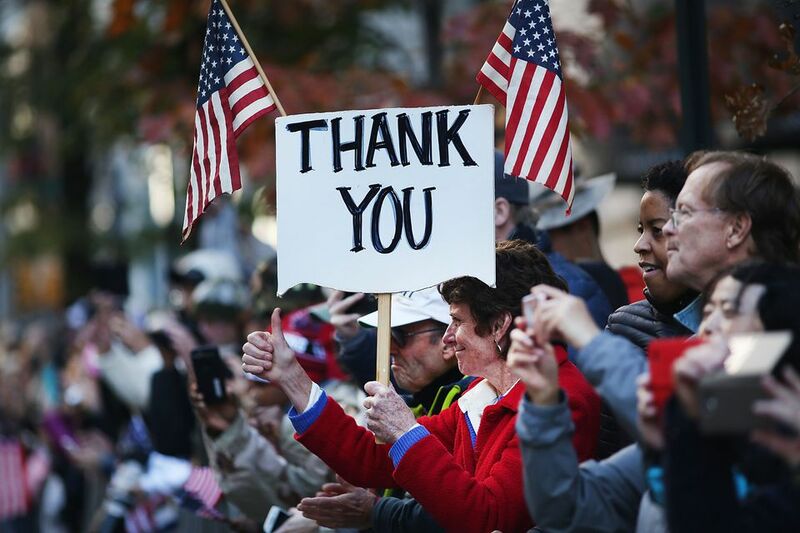 Most of the free meals on Veterans Day are completely free with no purchase required. Some restaurants do require a purchase, which can range anywhere from a drink to another entree. When in doubt, call your local restaurant to find out if there's a purchase required. "Do I still need to tip my server even though my meal is free?" You should still tip your server. They're working hard to serve you and they depend on these tips to supplement their paycheck. If you'd like to use a percentage to figure out how much you should tip, calculate that on the cost of the meal if you'd be ordering it on a regular day where you'd be charged. You can always ask for a menu to look up the price. "Are there other kinds of freebies I can get on Veterans Day?" Yes! There are all kinds of freebies for veterans including free haircuts, car washes, and even bed & breakfast lodging. "Can I get any discounts on Veterans Day?" You can get discounts on Veterans Day, too. Some stores even offer discounts all year around for veterans so be sure to check to see if you can be saving all year.